Established in the year 2002, we “Liviya Marketing”, are a prominent firm applauded for manufacturing and supplying an extensive collection of Kids Bags & Pillows, Hand Puppets and Soft & Learning Toys. The demand of our offered kids bags and pillows is high as these are manufactured by using premium quality thread, fabric and other required products, in-line with the latest market trends. Post production, we check these soft toys and other products so as to ensure that these are easy to wash, light in weight, have smooth textures, attractive design & colors, fine finish, colorfastness and durable stitching. To suit the different requirements of patrons, we provide these soft toys and other products in plethora of designs, colors, patterns and sizes, colors. Moreover, we also provide these soft toys and other products in accordance with the detailed specifications. We have appointed creative experts who come with new ideas to make our range capable of bringing smile on the faces of kids. 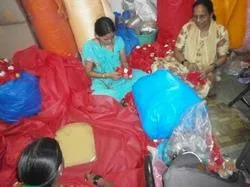 In addition to this, we have installed ultra-tech machines and follow latest designing techniques so as to manufacture our offered soft toys & other products as per the specified details of patrons. 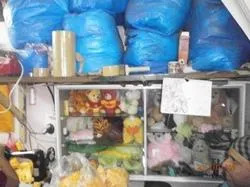 Our infrastructure is well-linked with the nearby transportation modes, due to which professionals are able to deliver these soft toys & other products at patrons' asked location within set time frame. With the constant support of our proprietor, 'Mr Byju Philips', we are able to maintain the hard earned trust of patrons and carve a niche for ourselves in this domain. He is known for this dignity, ethical business policies, excellent management and leadership skills. Owing to the undying efforts of our proficient teammates, we are able to come up with attractive array of Kids Bags & Pillows, Hand Puppets and Soft & Learning Toys. Our designers are the experts of this domain due to which we are able to cater to the varied requirements of patrons with ease. Apart from this, our professionals work in close proximity with one another so as to maintain work balance. With an aim to enhance the skills of our professional, we organize training sessions for them on regular basis. With firm commitment to quality, we are engaged in manufacturing and supplying Kids Bags & Pillows, Hand Puppets and Soft & Learning Toys. Our offered soft toys and other products are in-line with the latest market trends and are manufactured using best grade thread & other material. Further, we pack these soft toys and other products in blister packs and corrugated boxes so as to ensure their safety during transit.